Hello ... Hello ... my old friends ... It's great to see you once again! The name Iain Hornal has become somewhat familiar to fans and followers of ELO during the live resurgence of Jeff Lynne's ELO in recent years with his energetic performances and trademark backing vocals and guitar contribution. Add to that his work with 10cc, support stints with The Feeling and various other projects alongside his own band (The Hornal Family - now simply Hornal) and you start to realise what an impressive portfolio he has compiled. 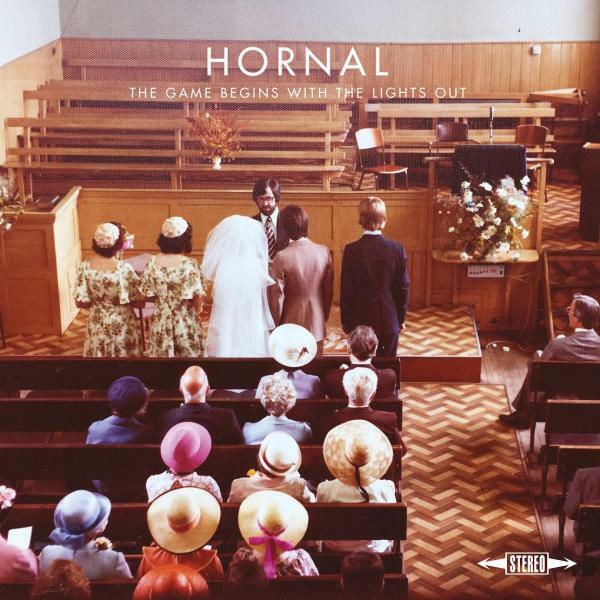 New album "The Game Begins With The Lights Out" by Hornal arrived last week on Thursday 2nd February and, from the first few notes, the eleven tracks on offer are truly an aural delight. Iain has garnered an impressive roster of collaborators with the likes of Sophie Ellis-Bextor, Billington & Quinn, Anna Krantz, Dan Gillespie Sells and Ciaran Jeremiah (The Feeling) as well as the legendary Graham Gouldman and Kevin Godley (10cc) all helping out. Having heard a quintet of these songs live, hopes for this long player were high and that anticipation is more than satisfied with a record replete with lush layered vocal harmonies that combine hints of Lennon, Lynne, McCartney and Bowie with some wonderful journeys into multiple music genres. There is a wonderful balance here betwixt the downright catchy foot tappers "Running Away", "Jennifer", "She Doesn't Have Anyone", "Any Other Way" and the beautiful acoustic, atmospheric gems "Staring At The Sky", "Caledone", "Different Places" (a stunning folksy almost country duet with Anna Krantz), "Pictures Of Past" (with Dan and Ciaran, his pals from The Feeling) and the sublime "Quit You". Add to the mix the instantly likeable if not anthemic "Dangerous Men" (with a fantastic guitar riff mingled with the vocal gymnastics of Sophie Ellis-Bextor and some great sax from Mike Stevens) and the piece de resistance that is the album closer "Say The Word" (oozing the class of 10cc throughout) and you end up with quite possibly one of the albums of the year.